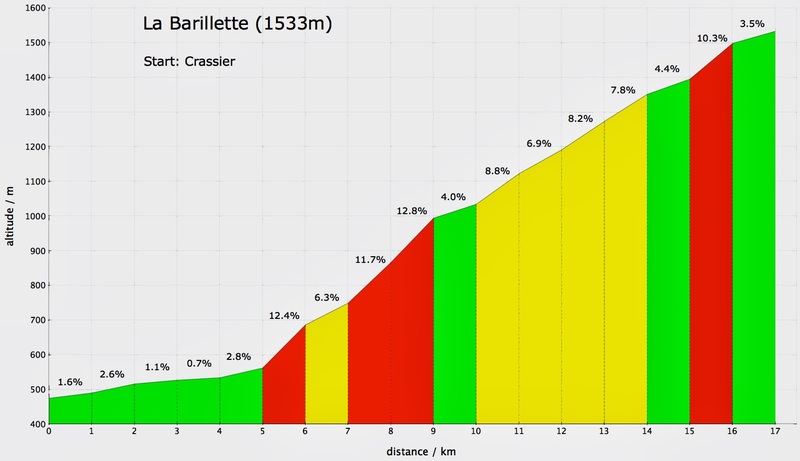 Today on summer equinox I decided to climb one of my favorite paved Jura roads, La Barillette. 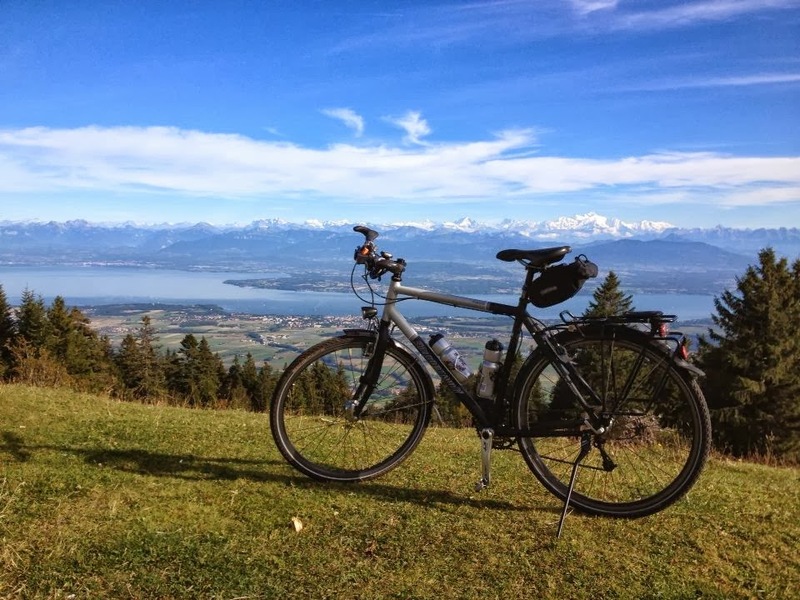 I have cycled up already on my MTB two years ago and this summer for the first time on my road bike (two plateaus only !). Today I took the trekking bike as I wasn't 100% fit (in between two night shifts !) and my time budget was limited. 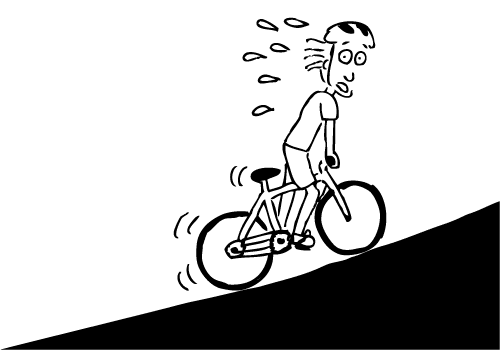 The weather conditons were perfect for cycling (sunny but not too warm) and traffic was moderate until I started to ascend. This road is quite popular amongst motorcyclists and weekend tourists and so it was no surprise to see many bikes and sporty cars roaring up there. A lone cyclist on a road bike passed me right after Florettaz but that was the only uphill biking guy I met on the 13km long road to the top. I quickly gained altitude and was in fairly good shape considering that I had slept only 6h after a night shift and not cycled for ~2 weeks. On two occasions I had a quick drinking stop but without losing too much time because I was keen on reaching the summit where the Swisscom antennas are pointing into the sky. During the whole ascent I never used the biggest sprocket. 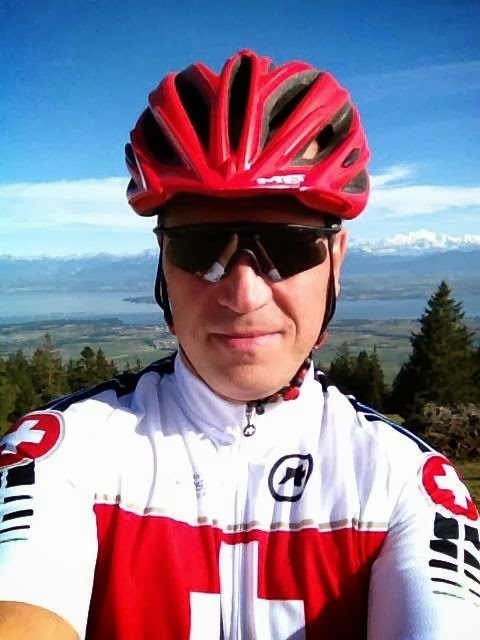 After about 2:16 and 30km I reached the highest point from where I could soak up the fantastic panoramic view over lake Geneva with the Alps and the all dominant Mt. Blanc in the background. It was the compensation for a tough piece of work and many sweat drops dripping down from my face onto the frame bars of my bike. 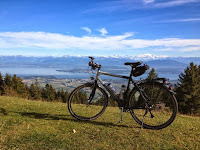 When I arrived there no other cyclists were present, only hikers and young guys with their sports cars enjoying the amazing view and scenery. After eating two energy bars to fill up my batteries, emptying my water bottles and taking many photos, I decided to return back home.